Rutland Water is a drinking water reservoir in the County of Rutland, England, to the east of the county town, Oakham. 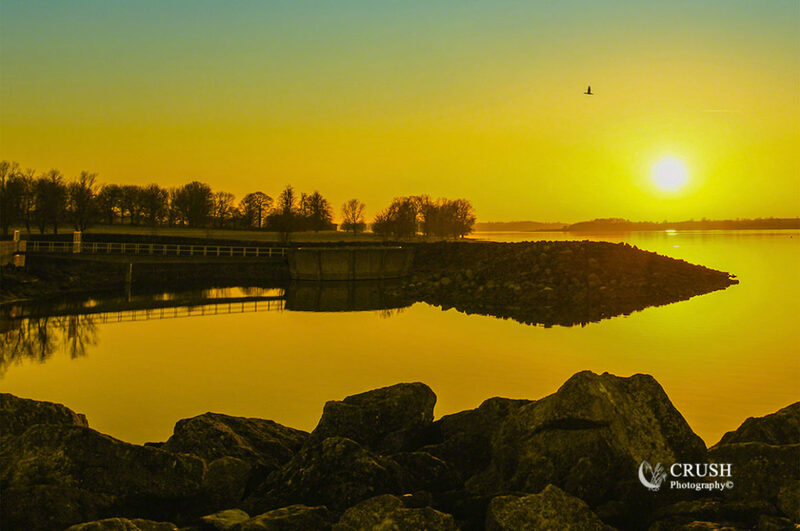 It was known as Empingham Reservoir during its construction and until its official opening in 1976. The centre of its dam is at British national grid reference SK942078. It is filled by pumping water from the River Nene and River Welland and provides water to the East Midlands region of the United Kingdom. It is one of the largest artificial lakes in Europe. By surface area it is the largest reservoir in England, but by capacity it is exceeded by Kielder Water. Set in 3,100 acres (13 km) of countryside, it has a 23-mile (37 km) perimeter track (17-mile (27 km) excluding Hambleton Peninsula) for walking or cycling. [ Since the water is drawn upon when needed, the relative areas of land and water vary a little but the flatter parts of the lake margin are enclosed by banks so that the Wetland Nature Reserve is maintained. A 1,555 hectare area of lake and shore is a biological Site of Special Scientific Interest,[ a Special Protection Area under the European Union Directive on the Conservation of Wild Birds[ and Nature Conservation Review site. An area of 1,333 hectares is a Ramsar internationally important wetland site and 393 hectares at the western end is managed by the Leicestershire and Rutland Wildlife Trust. Brancaster is actually made up of 2 villages, Brancaster and Brancaster Staithe. 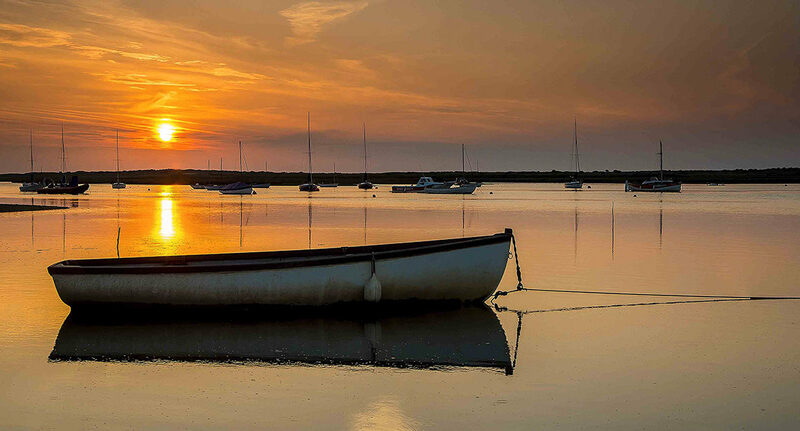 Brancaster is mainly residential, with all the interest centered on Brancaster Staithe, a working fishing village. Many local families still make their living by fishing from the staithe, which has always been famous for its first class shellfish. You can buy their catch from stalls either at the staithe or on the main road. The local area has been designated an Area of Outstanding Natural Beauty (AONB) and you can see for yourself by taking a stroll along the North Norfolk Coastal Path. Acknowledgements: Extract taken from "Tour Norfolk"
Nottingham City Centre is the cultural, commercial, financial and historical heart of Nottingham, England. Nottingham’s city centre represents the central area of the Greater Nottingham conurbation. The centre of the city is usually defined as the Old Market Square,the largest surviving town square in the United Kingdom. [c A major redevelopment of the Old Market Square was completed in March 2007. 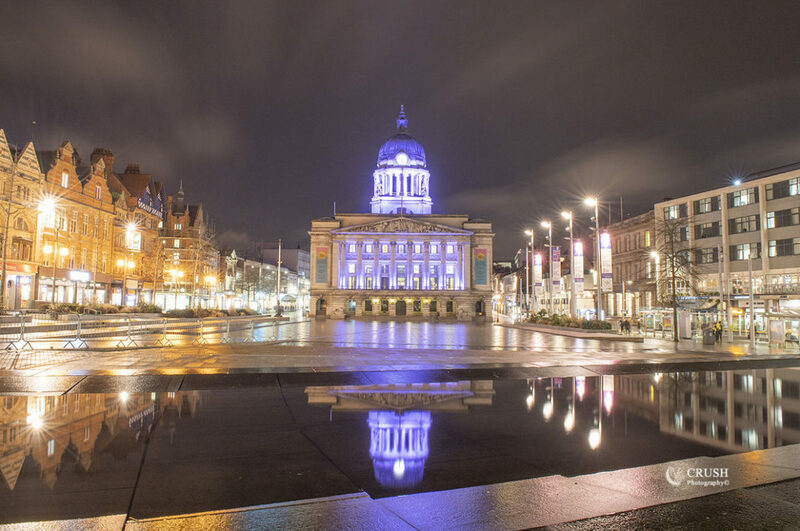 Many of the main shopping streets abut the square, which is dominated by Nottingham‘s city hall. The building’s landmark dome may be seen for miles around. Much of the ground floor of the building houses the Exchange Arcade, a boutique shopping centre. A Bohemian quarter of the city known as Hockley has arisen in recent years, situated close to the Lace Market area. The northwestern end of the city centre is home to the Nottingham Trent University city campus which contains a lively mix of old and new buildings. The University’s Newton building is one of the tallest buildings in Nottingham and has a prominent position on the city’s skyline.